You'll LOVE these Under Kitchen Sink Storage Solutions! Home > Life Hacks > You’ll LOVE these Under Kitchen Sink Storage Solutions! You’ll LOVE these Under Kitchen Sink Storage Solutions! 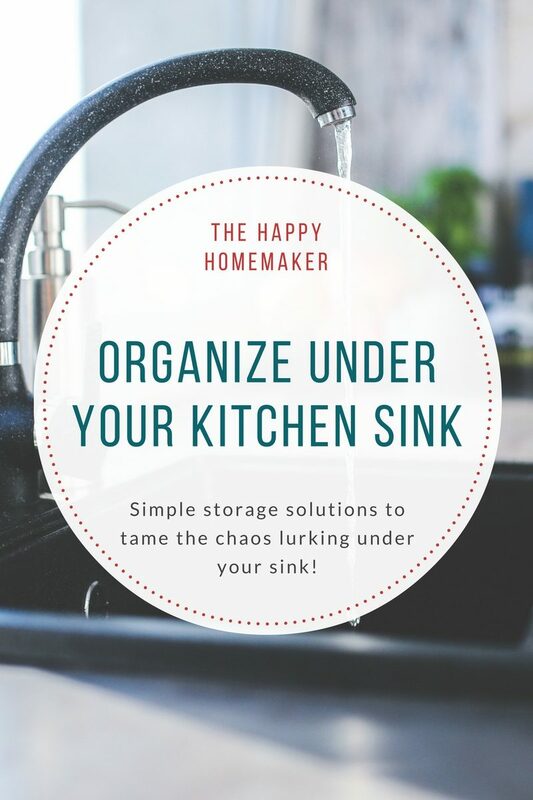 Under sink storage solutions to tame the chaos lurking under your sink! Now we’ve finished organizing the kitchen sink it’s time to tackle the pesky cabinet underneath. Don’t be embarrassed if your under sink cabinet is a chaotic jumble of cleaning products, bags, dusters and old smoke detectors… ask any one of your friends and I bet they’ll tell you that their cabinet is a cray mess too! 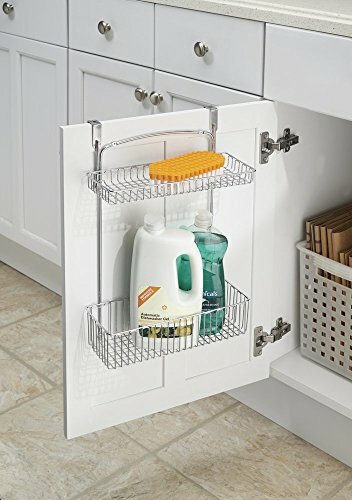 Don’t worry though because as always we have some clever under kitchen sink storage solutions to help get you back on the straight and narrow. Step 3: Now it’s time for the under kitchen sink storage solutions! 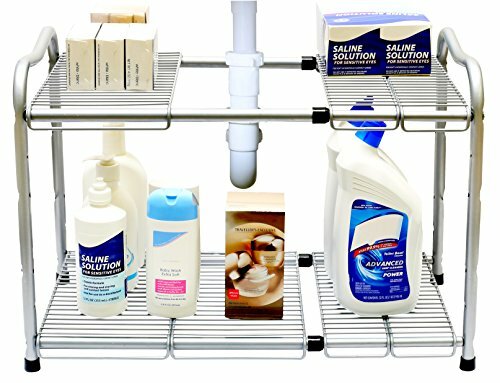 This under sink organizer fits around your pipes! You knew I was going to say that right? Because it is how we start every single organizing task… by sorting through the jumbled mess and deciding what we need and what we don’t. So empty out the cabinet. Every last thing needs to come out. And put it all up on a counter or even the kitchen table. Now have a sort through and put like for like products together. And now it’s all out in the open for you to see have a good sort through and throw away anything you don’t use. You know that cleaning product that you saw advertised on TV which doesn’t really do the job properly, or that bottle of something which seems to have taken on a funny colour and you can’t actually remember what it’s supposed to be used for! The good thing about sorting all the cabinet contents into categories is you can decide what really needs to live under the sink. Take for example your general cleaning supplies. Those are used for cleaning the other rooms in your home, so why do they need to be stored in the kitchen? If you have a closet in your hall (perhaps the one where the vacuum lives) think about storing those supplies there instead. Use a cleaning caddy to keep everything together so it’s easy to carry with you from room to room. If you are lucky enough to have a separate area for your washer and dryer then it would make more sense to store your laundry supplies over there. 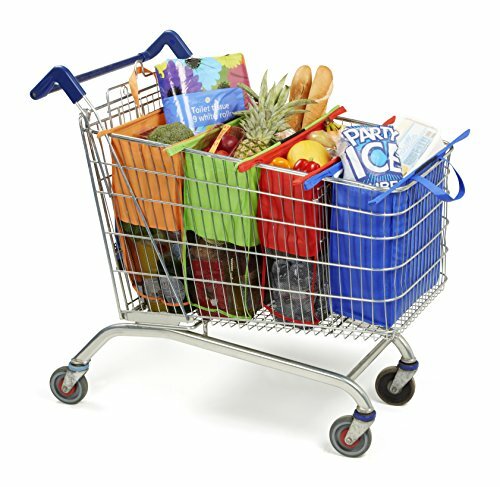 If space is tight then try one of these narrow rolling carts. If you found random bottles of toilet cleaner or other bathroom items under your kitchen sink put them to one side so you can make a home for them in the bathroom. Everything you have left now needs to be containerised and given a rightful place under the sink! Since you have all kinds of plumbing and pipes under your sink there is every chance that you could one day experience a leak, so before you put anything back into the cabinet line it with a waterproof liner like this one. If you don’t have any shelves in your under sink cabinet then an under sink storage unit like this one can help you make the most of the space by giving you two tiers to work with. 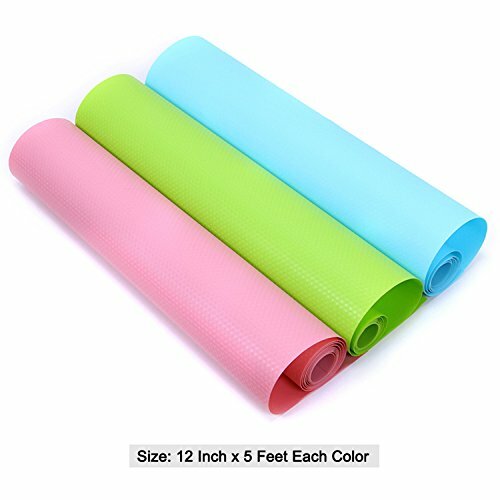 It expands width wise to fit inside your cabinet and can be anywhere between 15.5 inches and 25.2 inches wide. The unit itself is 15 inches tall and you can adjust the height of that top shelf to suit your storage needs. 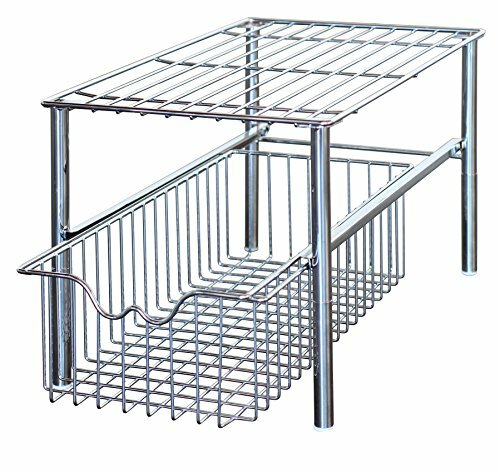 The shelves are steel wire panels that you rest over the rack so they can be fitted around your various pipes and even the bit that hangs down on the garbage disposal unit. One thing I do need to point out is that if you expand it to the widest setting there aren’t quite enough panels to cover the top tier. In practice the best way to use this storage unit is to have it just wide enough so that you have a gap to clear your pipes and fit the shelves, but not necessarily fill the width of the cabinet. You can use the space at the side for another storage solution. 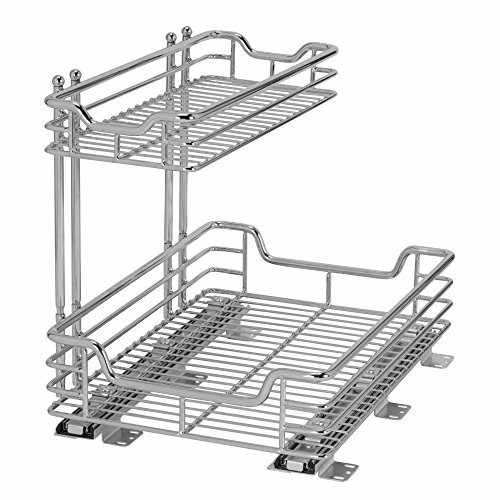 Another way to maximise the storage in the cabinet and avoid the pipes is to use two or three of these sliding basket organizers. They have a basket that slides out which is perfect for storing sponges, cloths and bottles of dish soap. And then a handy shelf on top for taller items like oven cleaner or spray bottles. 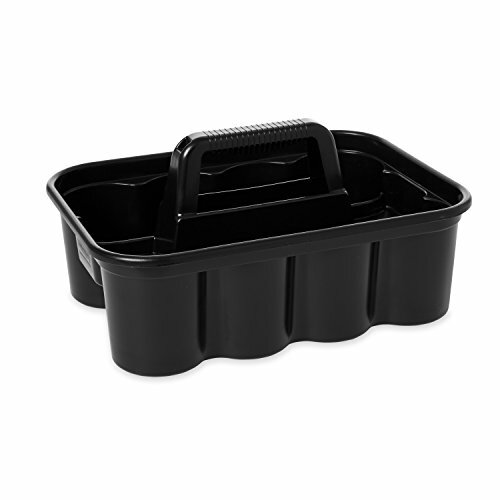 It’s also the perfect companion for the under sink unit we just looked at if you need something to fill a gap alongside that one. They are really easy to install too, you just snap on the legs (no screws required) and it doesn’t need to be fixed to the shelf either. Just be careful if you put something heavy in the drawer to put something heavy on the shelf too to act as a counter balance. 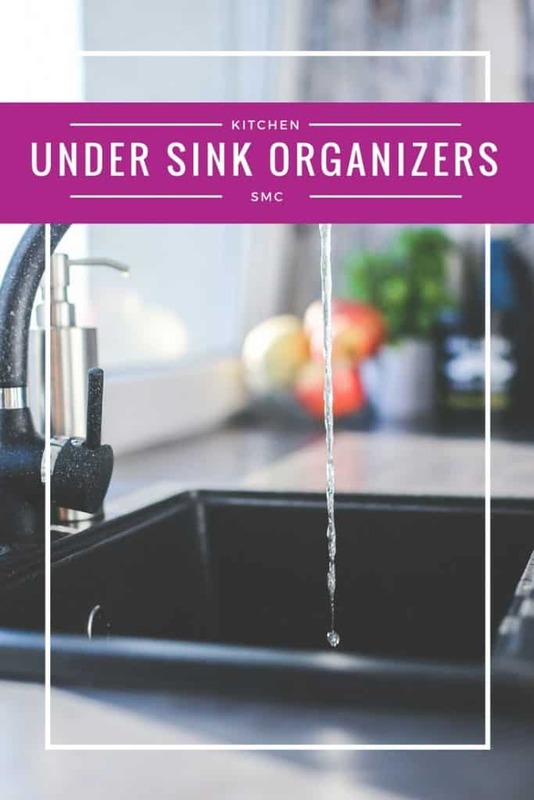 If you’re a fan of slide out cabinet organizers (because they save you from rummaging around on your hands and knees) the you will be delighted to know that you can get one for your sink cabinet too! 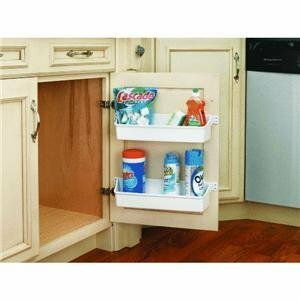 This two-tier sliding organizer is designed to fit under your sink; the top shelf is narrower than the bottom leave room for your pipes or garbage disposal unit. The bottom tier is 12 inches wide, the top shelf is 6 inches wide and the unit is 17 inches deep so you can maximise the storage space in that tricky cabinet. You can check the overall unit dimensions here to be sure it will fit your cabinet. 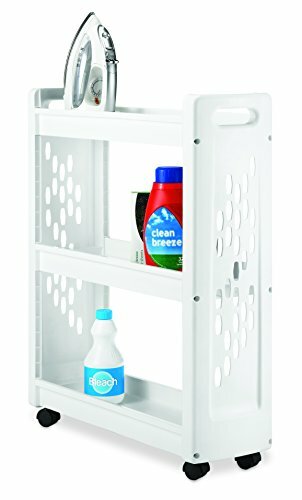 This organizer is super sturdy and the bottom shelf glides out really easily. The only downside (which seems to be common among most slide out organizers) is that it’s a little tricky to install. There isn’t a drilling template but you could make your own with a piece of card, or you can do the old fashioned method of putting it in place and using a sharp pencil to mark where the holes need to go in your cabinet bottom. Click here for some photos of this slide out organizer in action! You can make even more space in your cabinet by hanging an organizer over the door. 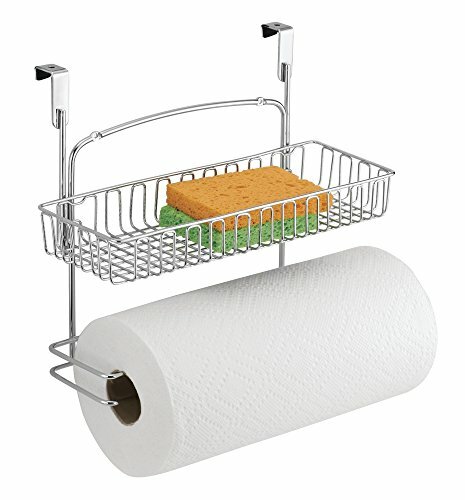 This is a great way to store your kitchen paper roll, plastic shopping bags, and even your dish soap and spare sponges. Just don’t overload the baskets or your door might start to pull away from the hinges! If you don’t want to hang an organizer over the door then you can make use of the space by attaching shelves to the door instead. You can use them to store your dishwashing liquid, spray cleaning bottles, spare sponges and brushes. You can even fit a 60 count box of Finish gel pacs in there! They are very durable and so easy to install that a 16 year old can do it! Just two tips for installation. Firstly you need to decide what you want to store in each tray, check that it fits, and then measure the door accordingly so that you have room to put things in and out of the trays (if you are installing them one above the other). Secondly you need to take the time to pre drill the holes, otherwise you risk splitting the wood on your door! 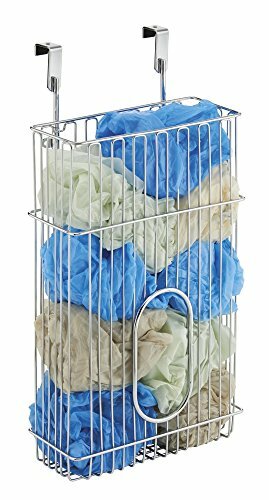 Instead of trying to organize that mass of plastic carrier bags under your sink you could just replace them with something that’s more practical and easier to store (and better for the environment too)! My hubby bought us a set of these trolley bags about two years ago now, we use them every Saturday and they are still going strong. They roll up so they’re easy to store in the trunk of the car, and you can fit a whole week’s worth of groceries in them (we feed a family of four and only use three of the four bags each week). And there you have it, 11 ways to organize the trickiest spot in your kitchen using some clever under kitchen sink storage solutions! Next PostNext How to Organize Pots and Pans so You Can Get to Them Easily!